Jr. 2 Bedroom / Student Living at its Best, Rent with Friends and Save! Smart Students Live Here! Rent from just $1000/per person! 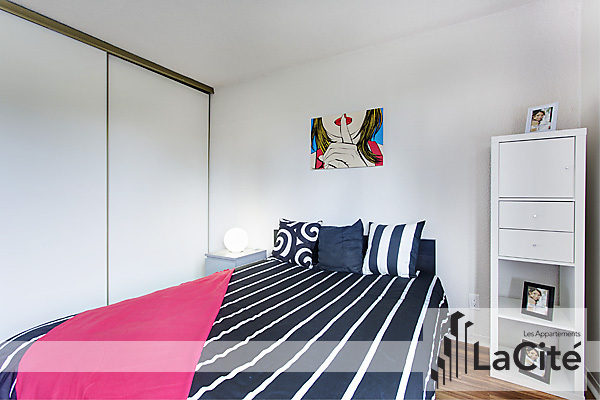 LaCité Apartments offers you the perfect opportunity to live in Montreals hottest neighborhood at an affordable price! Conveniently located only steps away from McGill University, hop straight from your bed to class in less than 10 minutes. What more could you ask for? Youll have direct access to the underground shopping center complete with a Metro grocery store, pharmacy, SAQ liquor store and much more, without ever having to take a step outside! Surrounded by an abundance of parks, cafés, incredible restaurants and nightlife all within walking distance, it won't take you long to see why LaCité is the perfect place to live, study and play. Direct access and preferred membership rates to Club LaCité: a 3 floor world class gym with tennis court and a heated outdoor pool open year round. Plus, you can relax and socialize in our newly designed lobbies complete with complimentary Wi-Fi access. Move in today and take advantage of our special promotional pricing starting at $1000 per person. With so many McGill students calling LaCité home, were sure youll make friends in no time! Property tours can be arranged any time Monday to Friday from 8:30 a.m. to 6 p.m. and Saturday / Sunday from 11 a.m. to 5 p.m. Please confirm your availability. If an in person tour is not possible, property tours can also be arranged via Skype or FaceTime please inquire with a rental agent! Contact one of our professional rental consultants at 1 (514)845-4173 for more details on becoming a LaCité resident today!